Carmelo Anthony is in Los Angeles this afternoon and is currently meeting with the Lakers. Kobe Bryant flew in from Europe to attend the meeting. The sit-down with the Lakers should be the last stop on the Melo Tour before he sits down with the Knicks. 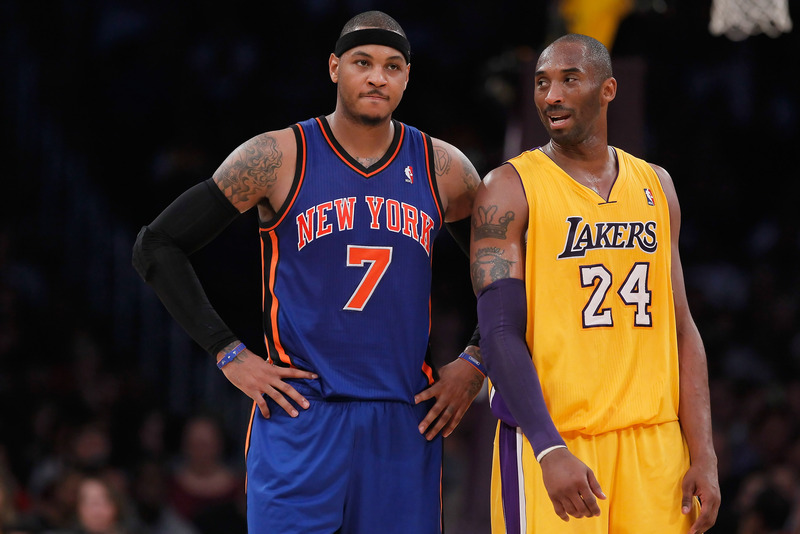 This entry was posted in Articles and tagged Carmelo Anthony, carmelo anthony knicks, carmelo anthony lakers, KNICKS, Knicks news, melo, melo knicks, melo lakers on July 3, 2014 by Tommy Rothman.